Anyone that likes the outdoors will love staying on the island. Situated right near one of the most beautiful bays and scenic beaches in Kauai, the Hanalei Inn is perfectly located for water activities and more. Our inn is the perfect getaway for anyone looking to escape the stress of their daily lives. Being so close to nature offers a unique opportunity to those seeking a new and exciting experience. Whether you need a day or a week of relaxation and fun, you’ve found the best place for your vacation. Make us your destination for your next retreat. One of the best scenic beaches you will find, Hanalei Bay is the perfect spot to go swimming. Its beaches are great for walking, and the Hanalei pier is perfect for relaxing, watching surfers, or simply enjoying the mountain view. You can also go fishing. The island offers visitors more things to do and see than you can imagine from unforgettable kayaking on the Hanalei River and hiking the Kalalau Trail to golf at Princeville Golf Course and snorkeling in Kauai. Discounts for many activities are available. Whether you want to relax on one of the beautiful beaches or take a group tour, there is plenty for you to do. Embark on a memorable journey into the wilderness. If you’re looking for something fun and different, the Kalalau Trail offers a broad array of activities. Whether you’re feeling adventurous enough for surfing or you’re just looking to relax on a fishing boat, there’s something for everyone. Just walking distance from our inn, the town of Hanalei is a great little place, offering restaurants, as well as drinks, music, and shopping. There is even a grocery store to grab Hawaiian treats. 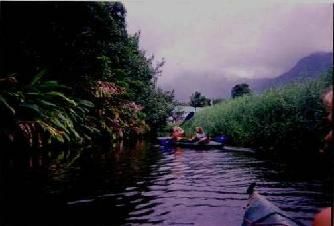 Hanalei allows visitors to engage in the full Hawaiian experience. There is so much to take in from the incredible delicacies to the welcoming citizens. You’re sure to gain an understanding of the culture like never before. Visitors from all over the world come to our island and leave with a newfound appreciation for Hawaii. With so many options for vacation spots, it just makes sense to visit a place that is unlike anywhere else you’ve been. When you stay at our inn, you’ll have the opportunity to experience Hawaii like never before. Contact us to find out more about our popular vacation spot. We are conveniently located in Hanalei, Hawaii, and welcome travelers from all over the world.